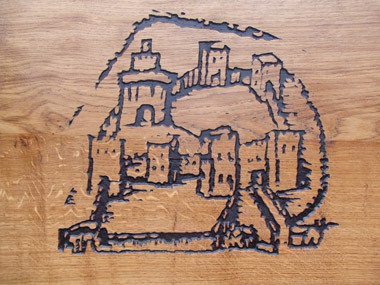 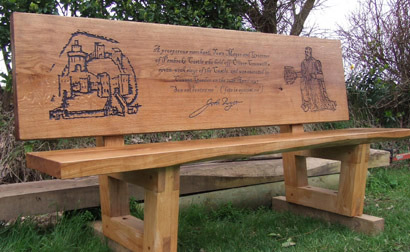 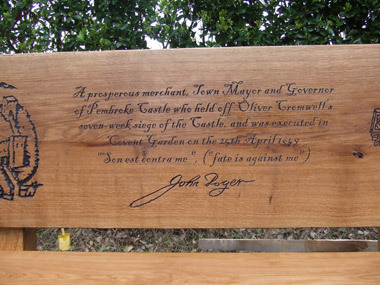 This Oak bench was commissioned by Pembroke Civic Trust to commemorate the life of John Poyer, former Mayor of Pembroke who held Pembroke Castle against Cromwell’s seven week siege and was executed in Covent Garden on April 25th 1649. 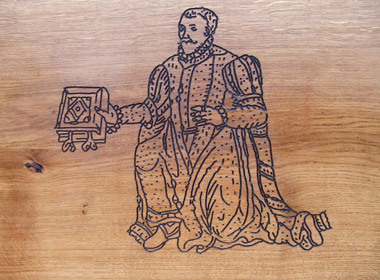 The imagery has been scanned from copies of 17thC woodcuts and computer routed. 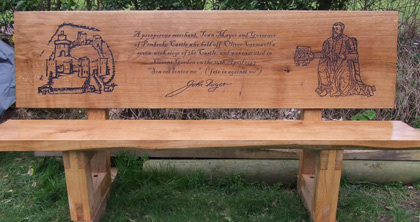 The bench is situated in St.Michael’s Square, Pembroke.